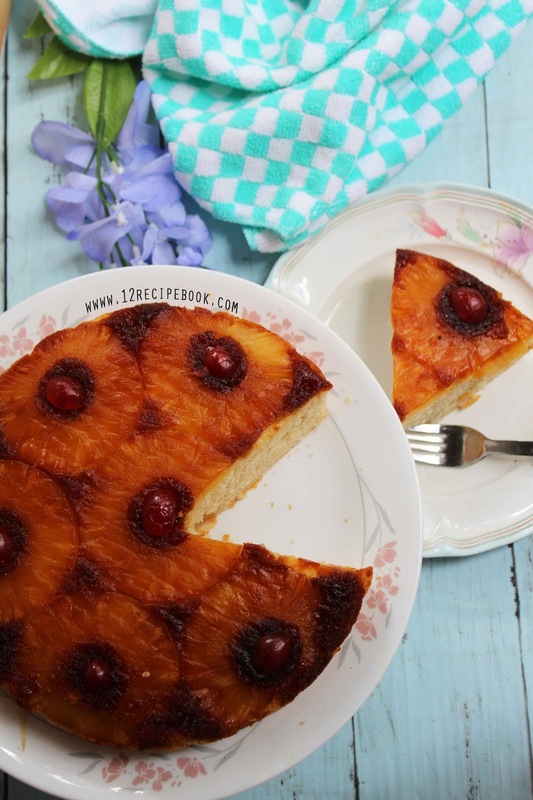 A cake which is served by turned down after baking is called upside down cake. This classic upside-down pineapple cake is so easy to make and tastes excellent. 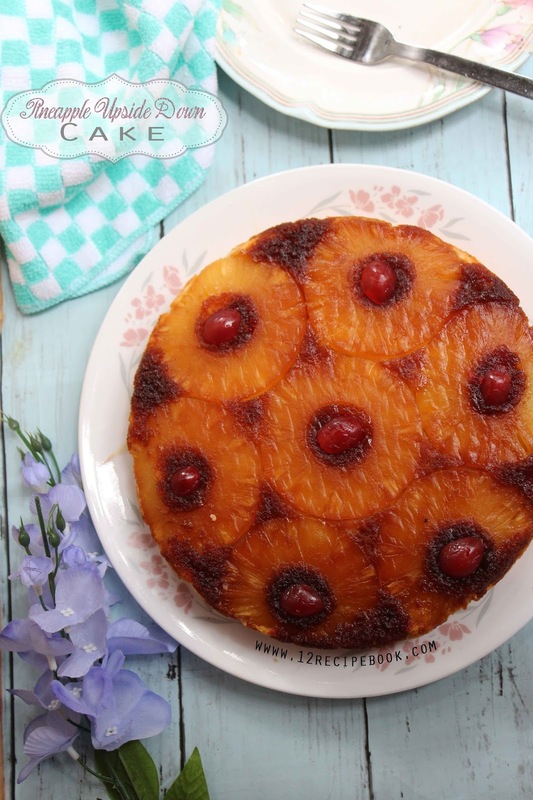 The pineapple and cherries on top of the cake makes eye-catching floral pattern.You can top the pineapple layer with any of your favorite moist cake batter. But simply the vanilla-butter cake tastes the best. 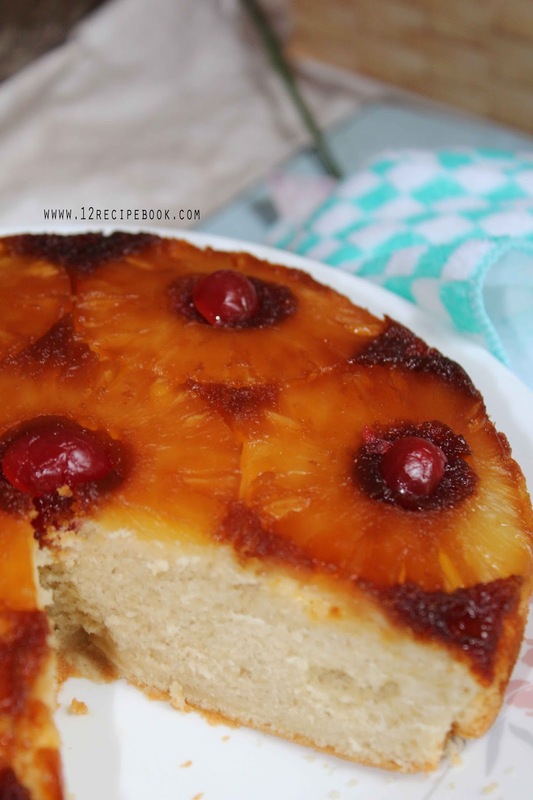 You can use canned or fresh pineapple pieces for making this. 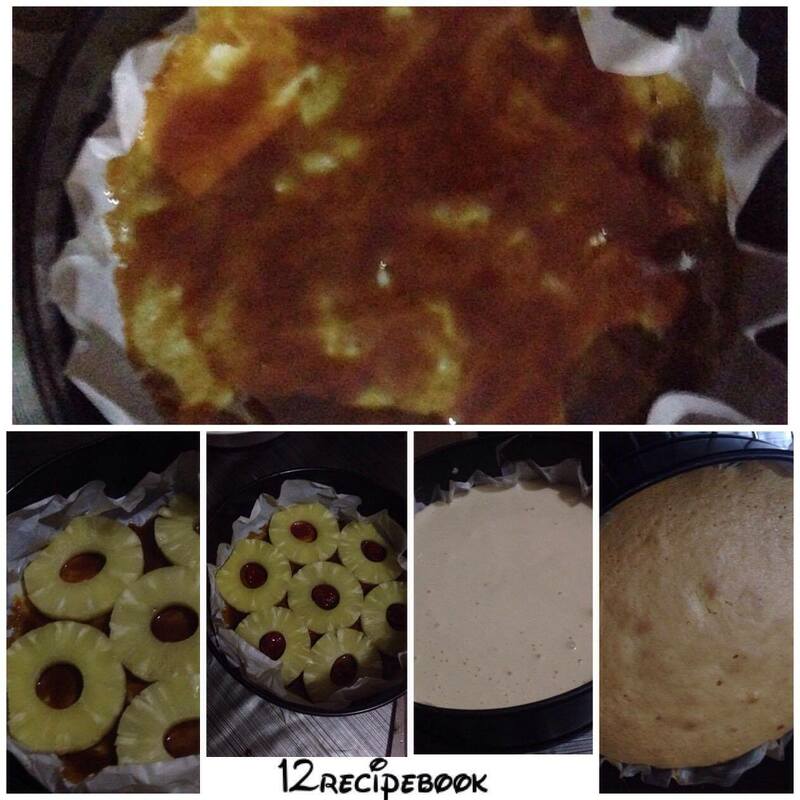 Here im im using canned pineapples, it's more convenient than fresh one. Keep a baking tray ready with parchment paper or by greasing with butter and dusted with flour. In a pan heat brown sugar and butter at low flame until mixed well. Switch off the flame and pour this topping evenly on the bottom of baking pan. Above that place the pineapple pieces. In center of each pineapple pieces place a half of cheery. Now prepare the cake batter and pour it over. Make sure that all ingredients for cake are at room temperature. Pre-heat the oven in to 180 degree. In a large bowl butter and sugar until creamed well. Add eggs one by one after mixing well (beat an egg about 40 seconds). Add flour and milk; beat on low speed for a minute or until completely mixed up (don't over beat or use a spatula to fold instead of beating). Pour this batter slowly over the pineapple layer and give a nice tap. Bake it for about 40 -45 minutes or until top gets nicely golden. ( insert a toothpick and check whether it comes out clean.). Allow the cake to cool down and carefully invert the cake in to a serving plate. Garnish on top with additional cherries in place of baked one. Cut them into slices and enjoy!! !